I was a founding member of the Campbellton Community Garden. The photo shows the bee garden we established at the community garden last summer. 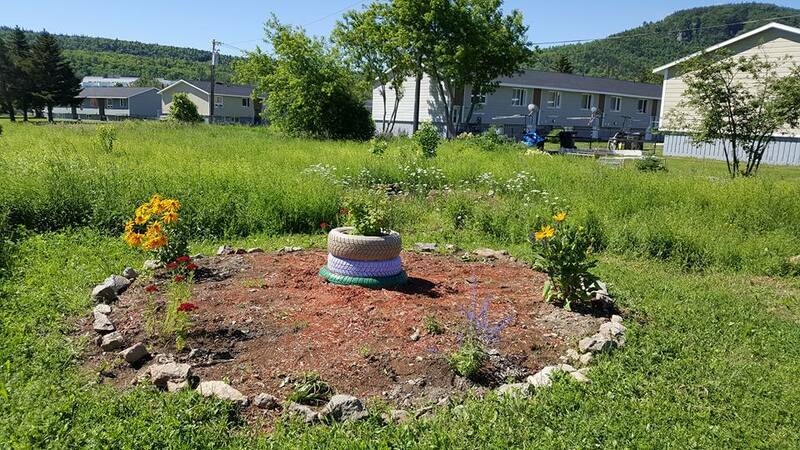 The bee garden was established as part of Be City Campbellton which is the responsibility of the Galerie Restigouche Gallery and the City of Campbellton. It is part of the Bee City Canada network. The garden was begun by the Restigouche Community Inclusion Network which I help create and is, today, maintained by the Inspire Cooperative which I helped organize. Details of how this community garden was brought into being will be part of my upcoming book. "From My Garden."